"A hardworking junior with excellent attention to detail." Chris has a substantial employment and tax practice and is instructed regularly in the High Court on commercial matters, in particular involving injunctions. Chris was the lead junior for the Defendants in the long-running Construction Industry Vetting Information Group litigation – one of The Lawyer’s Top 20 cases for 2016. This is the second time in three years that he has appeared in this feature, the first time being in 2014. 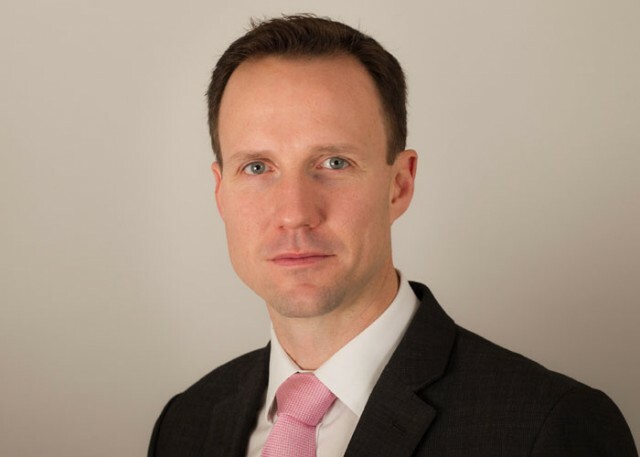 His strong expertise is recognised by Chambers UK who rank Chris as a leading junior in the fields of Employment and Tax, where they highlight, "He’s very good, extremely bright and good at assimilating documents. An effective cross-examiner and a good all-rounder" and "He's got fantastically detailed knowledge and is always looking to push the boundaries of the law to look for remedies." Chris is also ranked as a leading junior by Legal 500 in Employment, Corporate Tax, and Private Client Tax; "An outstanding junior, with great attention to detail, a tremendous work ethic and sound judgement"
Before being called to the Bar, Chris was a strategy consultant for Accenture and the Mergers and Acquisitions Manager for media group News International, which gives him a commercial and practical approach to legal issues that is highly valued by his clients. Chris is on the Attorney General's B Panel of Civil Counsel to the Crown. Clients praise him for his incredibly commercial approach to employment law matters, which may be attributed to his invaluable experience as a management consultant before joining the Bar. He focuses his employment practice on difficult discrimination tribunal claims, whilst operating a wider practice in tax and commercial law. Chris is recognised as a leading junior in Employment Law by Chambers UK 2016 and Legal 500. He specialises in high value and complex tribunal claims for clients including City banks, professional services firms and an international airline. He recently appeared for claimants in whistleblowing and discrimination claims. Recent tribunal cases covered the full gamut of employment claims including all forms of discrimination, whistleblowing, collective consultation, working time and TUPE issues. He also offers experience in applications for interim relief. In respect of High Court work, Chris is regularly instructed to advise and act in employment injunction matters, particularly regarding the enforceability of restrictive covenants. In addition, he has experience of bonus and wrongful dismissal disputes. His advisory practice also covers employment status and the taxation of termination payments – areas in which he draws upon his cross-over expertise in tax law. Chris has a wealth of experience in High Court practice and procedure from his commercial practice, and has first-hand knowledge of managing group litigation and data protection claims. During 2015 and 2016, he was instructed in the Construction Industry Vetting Group Information litigation – one of The Lawyer’s Top 20 Case of 2016. In that case, he was the lead junior in multi-day hearings on Cost Budgeting and Expert evidence. Chris has experience of litigation concerning subject access requests (Gaines-Cooper v HMRC  EWHC 868 (Ch)) and is well placed to advise employers on their duties when responding to the same. Chris contributes to Bloomsbury Professional's Discrimination Law; and writes regularly for the ELA Briefing and the PLC Employment Blog. He offers seminars to solicitors; recent topics include: employment status, taxation of termination payments, the practical aspects of disability discrimination claims, and data protection claims in the employment context. Chris is recognised as a leading junior in Tax Law by Chambers UK 2016 and in corporate tax and private client by Legal 500. He has substantial tax litigation experience in the First-tier Tribunal and appellate tribunals, often handling complex and high value appeals without a leader. His advisory practice is focused upon issues of residence and domicile (in which he has an extensive litigation background) and matters that cross over with his employment practice, notably employment status (including IR35 and the agencies legislation) and taxation of employment income. Chris also has extensive experience of judicial review claims in the tax context. Chris has written articles published in Taxation magazine and the Journal of International Tax, Trust & Corporate Planning. He has delivered seminars to solicitors on the taxation of partnerships, taxation of employment income, and the statutory residence test. He is a member of the RBA. Construction Industry Vetting Group Information litigation – one of The Lawyer’s Top 20 Cases of 2016 – Group Litigation involving claims by over 700 claimants bringing claims for defamation, unlawful means conspiracy, misuse of confidential and private information and breach of the DPA. Chris was lead junior on the case, including multi-day hearings on Cost Budgeting and Expert evidence. A major solicitor’s professional indemnity insurance aggregation dispute, selected as one of The Lawyer’s Top 20 Cases of 2014 (led by Colin Edelman QC). Southern Rock Insurance v Endsleigh Insurance (led by Colin Edelman QC and Richard Harrison) - a breach of contract claim for in excess of £15million against a claims handling service arising out of 50,000 motor insurance claims. Chris was instructed on this case for over 18 months. Chris has significant experience of High Court litigation in other contexts - subject access requests; restrictive covnenants; bonus claims. He is familiar with the practical aspects of civil litigation, in particular cost budgeting. He is a member of COMBAR and the LCLCBA. In light of his strong commercial expertise, Chris regularly receives professional negligence instructions, for example in solicitors', barristers', valuers' and architects' negligence cases on behalf of both claimants and defendants. He has particular speciality in solicitors' negligence cases, with recent cases including the late service of proceedings, alleged failure to properly advise, and conveyancing matters. He draws upon his multi-disciplinary expertise in employment and tax law for cases which involve those substantive areas of law, such as the quantification of loss in a negligently handled employment claim, or advice on whether a tax avoidance scheme would have succeeded if it had been successfully implemented. Chris has delivered seminars to solicitors on topics including: lawyers' negligence in employment claims; limitation in professional negligence claims; SAAMCO and the Recoverability of Losses in a Falling Market. He wrote an article with Alison Padfield on section 61 of the Trustee Act 1925, published in the Solicitors' Journal. Click here to view. Chris is a member of the PNBA. Chris is available for instruction on all employment aspects of sports law as well as disciplinary matters, particularly in rugby. He is Chairman of the Kew Occasionals RFC. Chris was instructed by the claimant in Kevin Keegan v Newcastle United Football Company Ltd  IRLR 94, in the Premier League Manager's Arbitration Tribunal, and by a television football commentator in a claim against his employer.